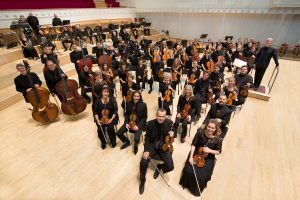 The BBC Scottish Symphony Orchestra’s position as one of the pillars of Scotland’s musical life has been established steadily since it was founded in December 1935. Based at City Halls in Glasgow (since 2006), it is a key contributor to the BBC’s broadcasting and cultural role and performs to large and enthusiastic audiences in venues throughout Scotland, as well as carrying out a busy schedule of recordings, concerts and broadcasts for BBC Radio 3, BBC Radio Scotland, BBC Television, and Online. 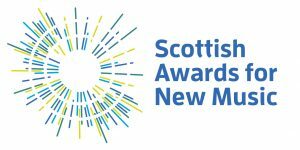 A past recipient of the Royal Philharmonic Society Award for best orchestra, the BBC SSO has made over 120 commercial recordings, many of which have received prizes, including four Gramophone Awards. Our Digital Orchestra which launched in April 2016 (see documentary here) is the world’s first disabled youth orchestra. Garth Knox was born in Ireland and spent his childhood in Scotland. He studied with Frederic Riddle at the Royal College of Music in London where he won several prizes for viola and for chamber music. Thereafter he played with most of the leading groups in London in a mixture of all repertoires, from baroque to contemporary music. In 1983 he was invited by Pierre Boulez to become a member of the Ensemble InterContemporain in Paris, which involved regular solo playing, including concertos directed by Pierre Boulez, and chamber music, touring widely and playing in international festivals. In 1990 Garth Knox joined the Arditti String Quartet, which led him to play in all the major concert halls of the world, working closely with and giving first performances of pieces by most of today's leading composers including Ligeti, Kurtag, Berio, Xenakis, Lachenmann, Cage, Feldman and Stockhausen (the famous“Helicopter Quartet”). In 1998, Garth Knox left the quartet to concentrate on his solo career. As a soloist, he has given premieres by Henze (the Viola Sonata is dedicated to him), Ligeti, Schnittke, Ferneyhough, James Dillon, George Benjamin and many others. He also collaborates regularly in theatre and dance projects, and has written and performed a one-man show for children. He has recently become a pioneer of the viola d’amore, exploring its possibilities in new music, with and without electronics, and is in the process of creating a new repertoire for this instrument. Garth Knox now lives in Paris, where he enjoys a full time solo career, giving recitals, concertos and chamber music concerts all over Europe, the USA and Japan. 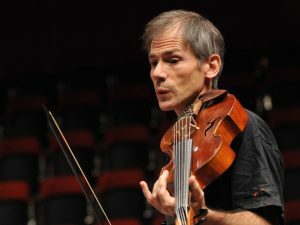 He is also an active composer, and his «Viola Spaces », the first phase of an on-going series of concert studies for strings (published in 2010 by Schott) combines ground-breaking innovation in string technique with joyous pleasure in the act of music making. The pieces have been adopted and performed by young string players all over the world. Garth Knox is International Visiting Professor at the Royal Academy of Music in London.